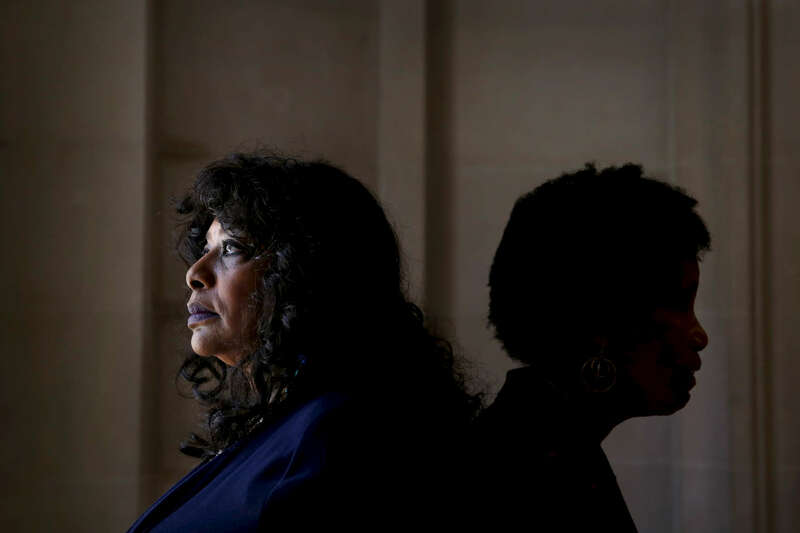 Sisters India Collins (left) and Andrea Gourdine pose for a portrait in San Francisco, Calif., on Friday, May 5, 2017. Their mother, who died three years ago, donated her brain to a UC Davis study on Alzheimer's. The sisters have differing views about their own participation. A racist and cruel history surrounding experimentation has kept many blacks from donating, thus scientific understanding of Alzheimer's in African-Americans lags behind.